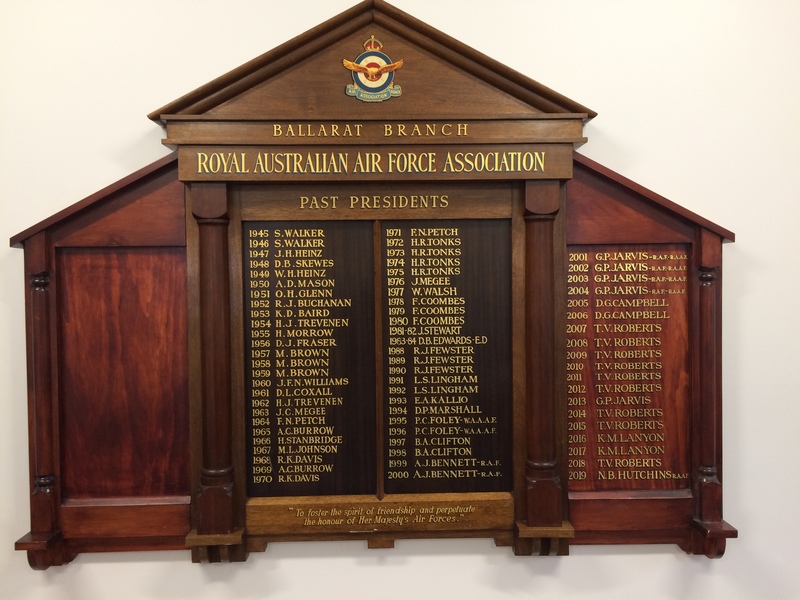 The Air Force Association’s Ballarat Branch was established in 1945. The Ballarat Branch meets on the first Tuesday of every month (except January) at 12noon at the Lakers Football Club Rooms in Wendouree. (note: entry is off Dowling Street through the previous car park and adjacent to the dog training area). For more than 50 years a former Royal Australian Air Force Officers’ Mess has been deteriorating into a state of disrepair as it lay dormant and unused at the Ballarat Aerodrome. Now finally, with its roof caving in and stumps sinking into the ground, the historic site that once housed wireless air gunner trainees will be restored for public use. Years of public campaigning has paid off for RAAF Association members determined to see the site, now known as Hut 48, returned to is former glory. ‘On Tuesday 5th May 1964 a meeting was called in the Lower Civic Hall in Ballarat where Group Captain Leonard Cheshire VC, OM, DSO, DFC, Famous Bomber Pilot, was scheduled to address a Public Meeting on his experiences for the lepers and sick in India. Due to overwhelming public response, the meeting was rescheduled to the Big Hall from the original venue of the Little Hall’. It was recorded in The Ballarat Courier on Wednesday 6th May 1964, that 900 people attended the event. The Mayor, C R Webb, chaired the meeting.